Today's "theme" over at BlogPaws is all about getting ready for their big social media conference coming up May 16-18 in Tyson's Corner, Va. It's their fifth conference and they only keep getting better! Check out this year's program to whet your appetite, and whether you can make it or not, join the BlogPaws Community tonight for a chat between 7-9 pm EST to get the inside scoop! Clearly, I'm not ready for the BlogPaws conference! Are you? 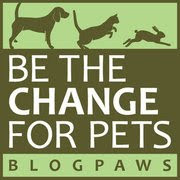 In the meantime, join the BlogPaws Wordless Wednesday Hop and meet the gang! I am so ready and see you there! SlimDoggy thinks that Bocci is just resting up for all the pawtying that will be going on in DC. We're going to BlogPaws this year. We'll try to check out the chat tonight, too! 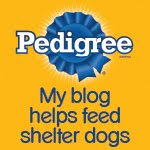 Happy getting ready for Blogpaws. Have a wonderful wordless Wednesday. That would be fun to attend fur SURE. Good that you are RESTING UP fur it. Wish I could go! Have fun! Unfortunately, we're not going yet-still pitching possible sponsors. Keep your paws crossed!